Signed photo of Memphis Depay the Netherland & Manchester United footballer. 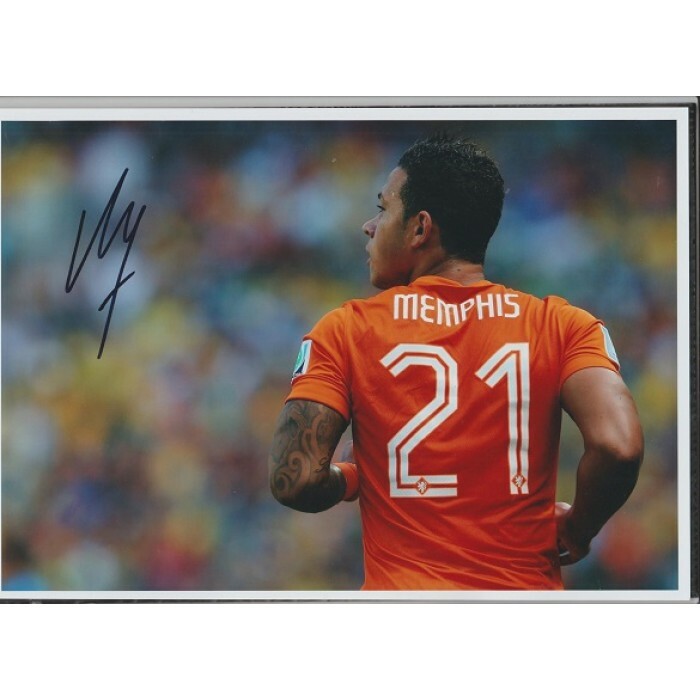 Home » Signed photo of Memphis Depay the Netherland & Manchester United footballer. Memphis Depay. This is a really fabulous colour photograph approx. 8 x 12 (20 x 30) of Memphis Depay the Netherland and former Manchester United footballer. The quality of this photo is to be admired and comes with a small white border. This photo shows Memphis Depay in action for Holland. Memphis Depay has signed this photo using a fine black marker pen. This really is a nice collector piece and very reasonably priced at £7.99.